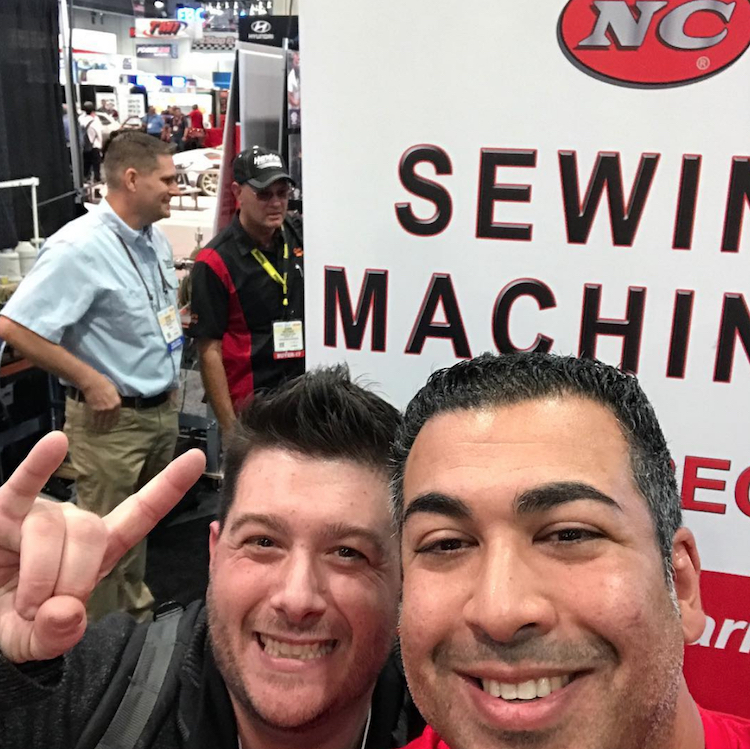 NC is Going Big for SEMA 2018! 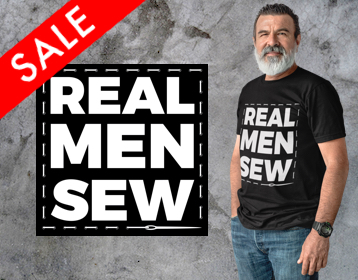 Their 2018 booth will be much larger and feature a full range of industrial sewing machines and tools for trimmers to see and try. Of course, they’ll be offered at a HUGE DISCOUNT! Come take an NC home with you. Wheel it right off the showroom floor! 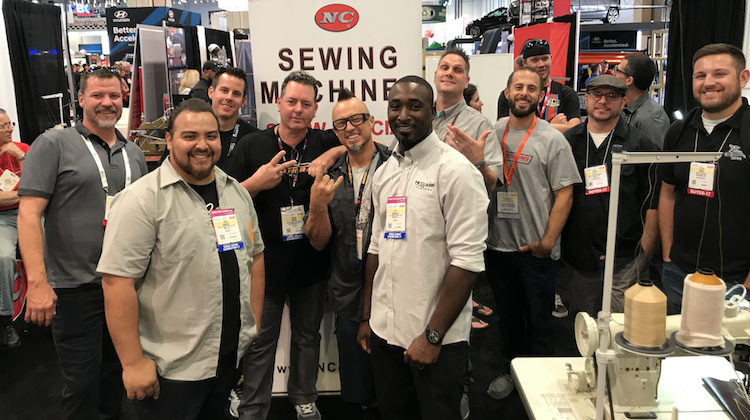 Steve Kurzman of Custom Stitching Co.
Visit the booth to talk shop, check out the machines and meet master craftsmen from around the world. Last year, trimmers from Canada, Australia, England and Germany stopped by. NC will also be hosting a FREE LUNCH exclusively for auto upholstery professionals and manufacturers. If there was ever a time to network, this is it! NC will be hosting the first annual “NC Interior of the Year Award,” voted on by the NC SEMA team and The Hog Ring! The winner will take home an impressive trophy to put in his shop. An EPIC GIVEAWAY no one will want to miss is also in the works! 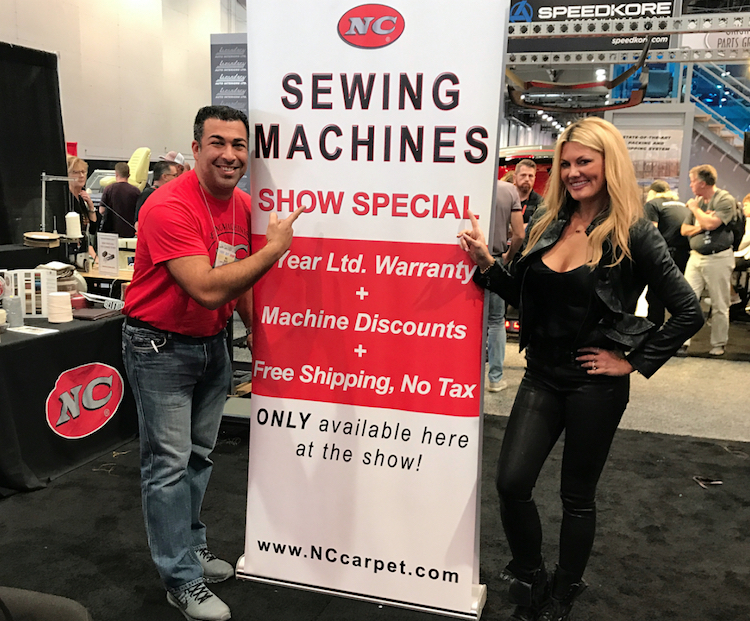 Trust us, you don’t want to miss NC’s booth at the 2018 SEMA Show. Last year’s event was HISTORIC! It was the first time our craft was so strongly represented at the auto industry’s largest aftermarket show. This year, NC CEO Mal Maher and his team plan to TOP IT! The details above are just a sample of what’s to come. Over the next few months, we’ll reveal even more — so STAY TUNED! AND START PLANNING NOW! 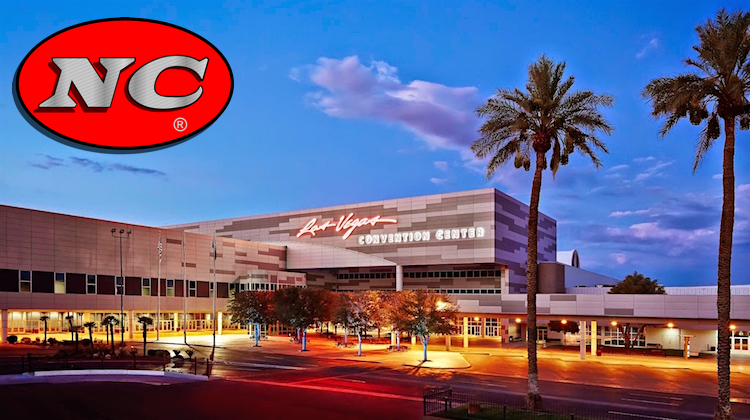 The 2018 SEMA Show will be held October 29 – November 2 in Las Vegas, Nevada. For details, visit SEMAShow.com. Instead of Art, Let’s Make Some Money! My name is Marc Fisher, owner of Auto Trim by … [more] about Instead of Art, Let’s Make Some Money!